There is no question regarding how much we, as Australians adore our pets. They are being treated more like children than ever before and nothing makes us happier than a well loved pet! Pets have so much to offer. They provide company, endless unconditional love and even just their presence in our homes can bring health benefits to us! We just have to ensure we’re returning the love and health benefits by ensuring we are not killing them with kindness. 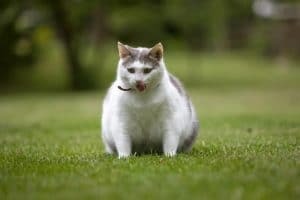 Pet obesity has become alarmingly common and is surprisingly a delicate subject for veterinarians to discuss with owners. Today we will touch base on how to feed your pet with love instead of excess food. These conditions on paper look quite daunting, but the most heartbreaking thing to see is a decrease in a pet’s quality of life and not to mention the cost of treatments and in the long run, costing you fortune in food bills. With this in mind, regular diets are not the only factor to consider. 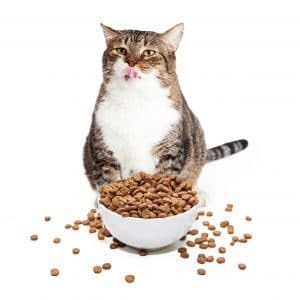 A treat here or there is always appreciated and welcomed by our furry friends, but it is important to acknowledge that their bodies aren’t the same as ours and can easily be affected by unhealthy and fatty treats. High fat treats and diets can cause a condition known as pancreatitis. Pancreatitis is an incredibly painful condition where the pancreas becomes inflamed requiring veterinary attention. So keep it simple. 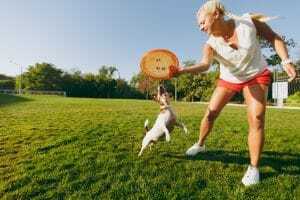 Pets love treats – it is great for reward based training and general spoiling. But just like with children, train them to appreciate the healthy treats, and everything in moderation. But what is considered moderation you may wonder? Calculating daily requirements for your pet can be complicated and confusing to many of us. If you’re a mathematical person, there is a calculation that we will include at the bottom of this blog for your reference or simply just ask your friendly veterinarian who will have a thorough knowledge of pet nutrition requirements. Another way to scope out a generalized portion size for your pet – consult your food bag. Many food products will have a generalized daily requirement advertised on the back. Utilizing this information can help guide your pet to a steady maintenance diet but this alone won’t help a heavy hound or pudgy puss lose weight. If your pet is looking overweight, best step is to consult your regular vet. Split feed between two meals. Measure food portions – scoop out with a common measuring cup. If a pet tends to gorge their food (yes, we’re looking at you, lovable Labradors) try a modified bowl that stops gorging and makes meals last longer. These are available at many veterinary clinics and pet stores. Incorporate healthy treats. Dental treats are a great idea – increase dental hygiene and take longer to chew. Double winner! Daily exercise! It keeps the body and the mind healthy and stimulated. It is easy to say, but we know that once we look into those those big brown pleading eyes it’s a different story. Sometimes we have to be cruel to be kind. They think they need it, but you know what’s best for them – everything in moderation. Today we celebrate “World Love Your Pet Day” so show your pet you love them by starting a healthy routine today – they will LOVE you for it!